Harper Lee had quite a task creating the narrative voice of Scout in To Kill a Mockingbird. Sure Scout was a six-year-old girl who ages about two years in the course of the book; what's the challenge? Seems easy enough -- in that short span of years there is not much change. But Scout is also the narrative voice of an adult, and how does one impart the perspective of a reflective southern woman? How does it remain evident that young Scout and the reflective adult spring from the same root? The following week the knot-hole yielded a tarnished medal. Jeb showed it to Atticus, who said it was a spelling medal, that before we were born the Maycomb County schools had spelling contests and awarded medals to the winners. Atticus said someone must have lost it, and had we asked around? Jem camel-kicked me when I tried to say where we had found it. Jem asked Atticus if he remembered anybody who ever won one, and Atticus said no. Our biggest prize appeared four days later. 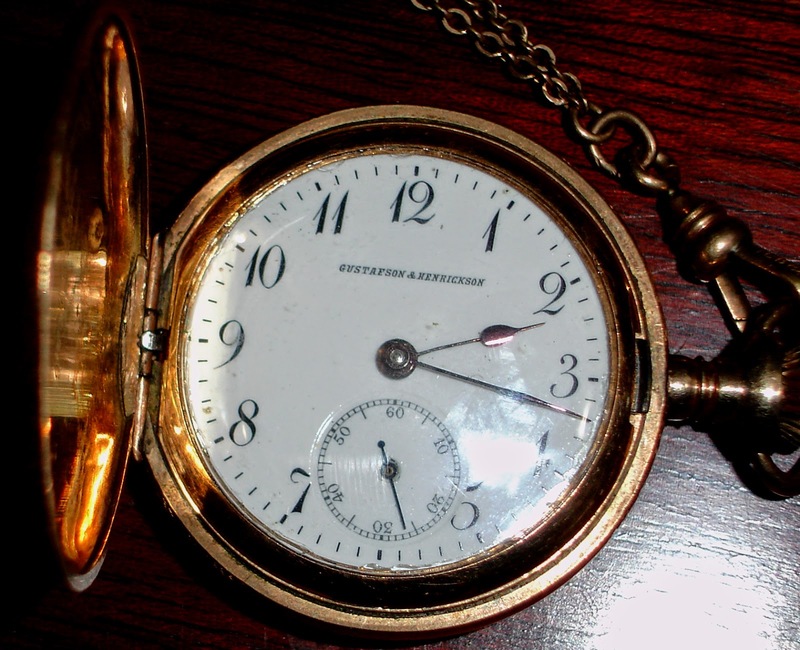 It was a pocket watch which wouldn't run, on a chain with an aluminum knife. "You reckon it's white gold, Jem?" We have a narrator, the adult Scout (Jean Louise) and the character who supplied remembered dialogue, young Scout. The two voices are distinctly different ,yet they maintain a connection with the story. The narrator introduces the event just to where we can imagine the moment, and the young Scout takes over, supplying the in-the-moment reactions and character interactions. It looks easy when you expose the strings underneath, but it is not easy. Six-year-old Scout had a pretty good vocabulary, but she also uses country dialect "reckon" and frequently her sentences will be missing the subject and have an abruptness to them as though she is in a hurry to express herself before Jem can shut her down or steal her thunder. "You reckon it's white gold, Jem?" The older narrator Jean Louise takes her time, drawing out the moment. "The following week the knot-hole yielded a tarnished medal." There is an easy, relaxed feel to her sentences, an ownership and a patience the younger Scout had not mastered, but near the end of the book, the reader can see she is beginning to learn that such patience exists and has value and place. The flow between the two is seamless because the adult narrator's viewpoint drops off when Scout speaks and picks up after, as though they were twins finishing each one's sentences, although those sentences are separated by a distance of thirty years or more. That is one of the beauties of reading To Kill a Mockingbird: enjoying the flow and the grace of the connection between the two Scouts. We see the meaning behind events when Jean Louise speaks and the confusion, fear, surprise and revelation those same events bring out in Scout. There is no ledge, no separation felt, yet the reader steps back and forth between them.